Setting up a potentially important review by the U.S. Supreme Court of the scope of federal Due Process Clause protection in class actions, Justice Antonin Scalia granted an application for stay on Friday by Philip Morris USA, Inc. in Philip Morris USA Inc. v. Scott, No. 10A273, — S.Ct. —-, 2010 WL 3724564 (U.S. Sept. 24, 2010) (mem.). Plaintiffs brought a class action against several tobacco companies on behalf of all Louisiana smokers, alleging that the companies defrauded the plaintiff class by “distort[ing] the entire body of public knowledge” about the addictive effects of nicotine. Id. *1 (quoting Scott v. American Tobacco Co., 2004-2095, p. 14. (La. App. 2/7/07) 949 So. 2d 1266, 1277). The Fourth Circuit Court of Appeal of Louisiana granted relief on that theory, and entered a judgment requiring applicants to pay $241,540,488 (plus accumulated interest of about $29 million) to fund a 10-year smoking cessation program for the benefit of the members of the plaintiff class. Id. The Supreme Court of Louisiana declined review. Id. Defendants asked Justice Antonin Scalia “in [his] capacity as Circuit Justice for the Fifth Circuit, to stay the judgment until this Court can act on their intended petition for a writ of certiorari.” Id. [T]he applicant bears a heavy burden. It is our settled practice to grant a stay only when three conditions are met: First, there must be a reasonable probability that certiorari will be granted (or probable jurisdiction noted). Second, there must be a significant possibility that the judgment below will be reversed. And third, assuming the applicant’s position on the merits is correct, there must be a likelihood of irreparable harm if the judgment is not stayed. Barnes v. E-Systems, Inc. Group Hospital Medical & Surgical Ins. Plan, 501 U. S. 1301, 1302 (1991) (SCALIA, J., in chambers). I conclude that this standard is met. Justice Scalia found that the Court of Appeal’s elimination of the class-wide reliance requirement “implicates constitutional constraints on the allowable alteration of normal process in class actions.” Id. “This is a fraud case, and in Louisiana the tort of fraud normally requires proof that the plaintiff detrimentally relied on the defendant’s misrepresentations. 949 So. 2d, at 1277. Accordingly, the Court of Appeal indicated that members of the plaintiff class who wish to seek individual damages, rather than just access to smoking-cessation measures, would have to establish their own reliance on the alleged distortions. IbId. But the Court of Appeal held that this element need not be proved insofar as the class seeks payment into a fund that will benefit individual plaintiffs, since the defendants are guilty of a “distort[ion of] the entire body of public knowledge” on which the “class as a whole” has relied. Id., at 1277-1278. Thus, the court eliminated any need for plaintiffs to prove, and denied any opportunity for applicants to contest, that any particular plaintiff who benefits from the judgment (much less all of them) believed applicants’ distortions and continued to smoke as a result. . . . The apparent consequence of the Court of Appeal’s holding is that individual plaintiffs who could not recover had they sued separately can recover only because their claims were aggregated with others’ through the procedural device of the class action. 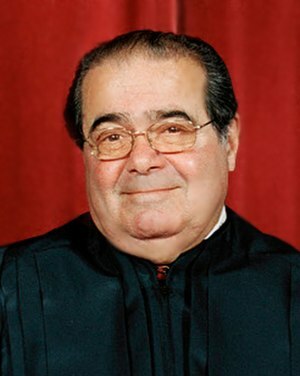 Justice Scalia phrased the issue as the “extent to which class treatment may constitutionally reduce the normal requirements of due process”. Id. Identifying this issue as an “important question”, the Justice seemed determined to bring it within the review of the U.S. Supreme Court. National concern over abuse of the class-action device induced Congress to permit removal of most major class actions to federal court, see 28 U. S. C. § 1332(d), where they will be subject to the significant limitations of the Federal Rules. Federal removal jurisdiction has not been accorded, however, over many class actions in which more than two-thirds of the plaintiff class are citizens of the forum State. See § 1332(d)(4). Because the class here was drawn to include only residents of Louisiana, this suit typifies the sort of major class action that often will not be removable, and in which the constraints of the Due Process Clause will be the only federal protection. There is no conflict between federal courts of appeals or between state supreme courts on the principal issue I have described; but the former seems impossible, since by definition only state class actions are at issue; and the latter seems implausible, unless one posits the unlikely case where the novel approach to class-action liability is a legislative rather than judicial creation, or the creation of a lower state court disapproved by the state supreme court on federal constitutional grounds. This constitutional issue ought not to be permanently beyond our review. He found that defendants had satisfied the prerequisites for a stay. I think it reasonably probable that four Justices will vote to grant certiorari, and significantly possible that the judgment below will be reversed. As for irreparable harm: Normally the mere payment of money is not considered irreparable, see Sampson v. Murray, 415 U. S. 61, 90 (1974), but that is because money can usually be recovered from the person to whom it is paid. If expenditures cannot be recouped, the resulting loss may be irreparable. See, e.g., Mori v. Boilermakers, 454 U. S. 1301, 1303 (1981) (Rehnquist, J., in chambers). Here it appears that, before this Court will be able to consider and resolve applicants’ claims, a substantial portion of the fund established by their payment will be irrevocably expended. Funds spent to provide anti-smoking counseling and devices will not likely be recoverable; nor, it seems, will the $11,501,928 fee immediately payable toward administrative expenses in setting up the funded program.